Don't come to us, we'll come to you. Burlington cops received a bit of a scare last night when a New North End man brought a "flash-bang" device he found outside his home to the police station. The citizen, whom Burlington Police Chief Michael Schirling said was simply trying to be helpful, left the device in his car in the police department's parking lot and walked inside the station, announcing his intention to hand it over. Officers on duty had a different idea: They called the Vermont State Police Bomb Squad, which removed the device, and later found it did not contain any explosive material. Schirling said his officers were trying to figure out where the flash-bang device came from, and whether it is illegal to have one in Vermont. It's a small explosive used by police and the military that does, well, exactly what it sounds like it does, in an attempt to distract a target. Burlington police have at least determined that the device isn't one of their own. While bomb squad members did their thing around 9 p.m. last night, they briefly closed down the Police Department's parking lot adjacent to North Avenue, and set up a 50-foot perimeter around the vehicle. "At least he didn't bring it inside," Schirling said. 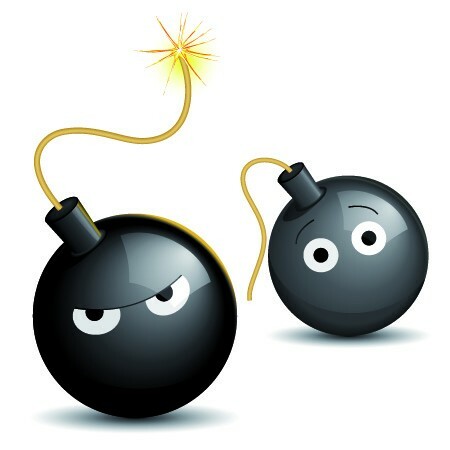 Yup, that's actually happened: Someone brought a grenade into the police station several years back, Schirling said, forcing a brief evacuation of the building. Police are asking citizens who find suspicious devices to not handle them, and instead call them and let them decide what to do next. It comes up more often than you'd think. Burlington residents have found grenades, old firearms, even a cannonball, Schirling said. The sources are varied. There's an old cemetery in Battery Park. Construction projects on city streets turn up all kinds of stuff. Things occasionally wash up on Lake Champlain and, Schirling said, "You'd be amazed what's in the Winooski River."